300 AAC BLACKOUT - "Build an ar 15 from parts"
Why build a weapon chambered in 300 AAC BLACKOUT? I thought that question interesting enough to post it for the masses at 308ar.com's 300 AAC BLACKOUT forum. For my purposes it this is a weapon for punching paper, SHTF and personal protection scenarios. I stumbled across a pristine PWA COMMANDO PREBAN STRIPPER AR15 LOWER RECEIVER at a local gun shop. A preban is required for local compliance. 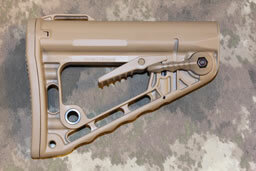 Unfortunately the colors dont match as well as they would if I utilized a matching CMMG receiver set. 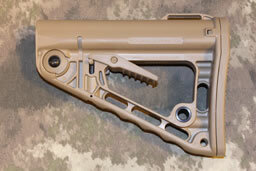 If I lived in a gun friendly state I would have utilized the CMMG MOD4SA STRIPPED LOWER RECEIVER I already have on hand. Keeping it simple and going with CMMG so the fit and finish should match perfectly with my lower receiver. At the time of writing this Brownells isn't listing the CMMG or I cant find it. So you can order one directly from CMMG or choose a different brand from the many Brownells offers. I chose the WILSON COMBAT NP3 COATED BOLT CARRIER GROUP for two reasons. The first reason is that I would have the expectation that purchasing the bolt carrier group and more specifically the bolt from the same manufacturer not only will I be ensuring proper headspacing but also ensuring the most precise fit of the bolt and the barrel extension. At least that how I'm help justify it. 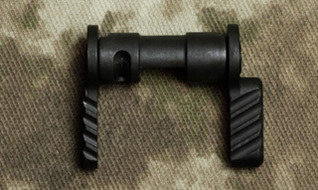 The second reason is for purchasing this bolt carrier group is for the ROBAR NP3 coating. NP3 is a super slick hard surface treatment. 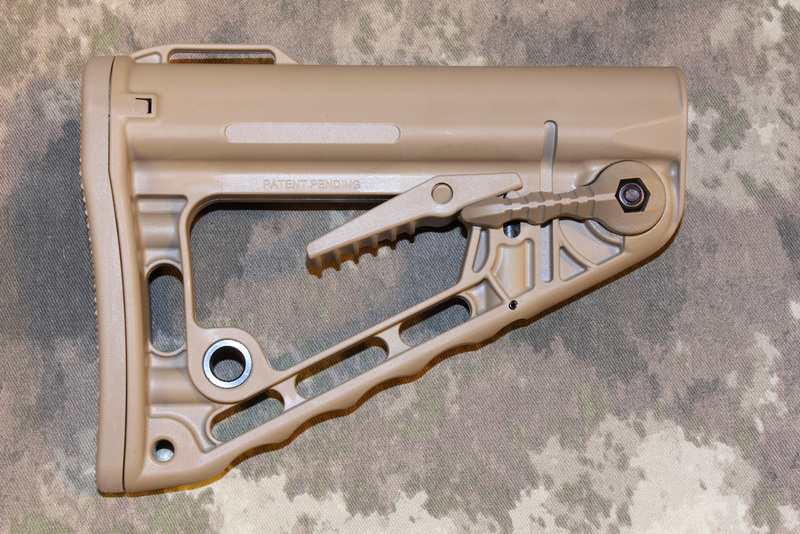 The NP3 coating will allow the bolt carrier group to function properly with little or no lubrication. 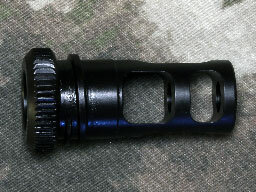 Additionally the NP3 coating makes keeping the Bolt Carrier Group clean a snap. I have been happy with TIMNEY TRIGGERS in my bolt action rifles for years. 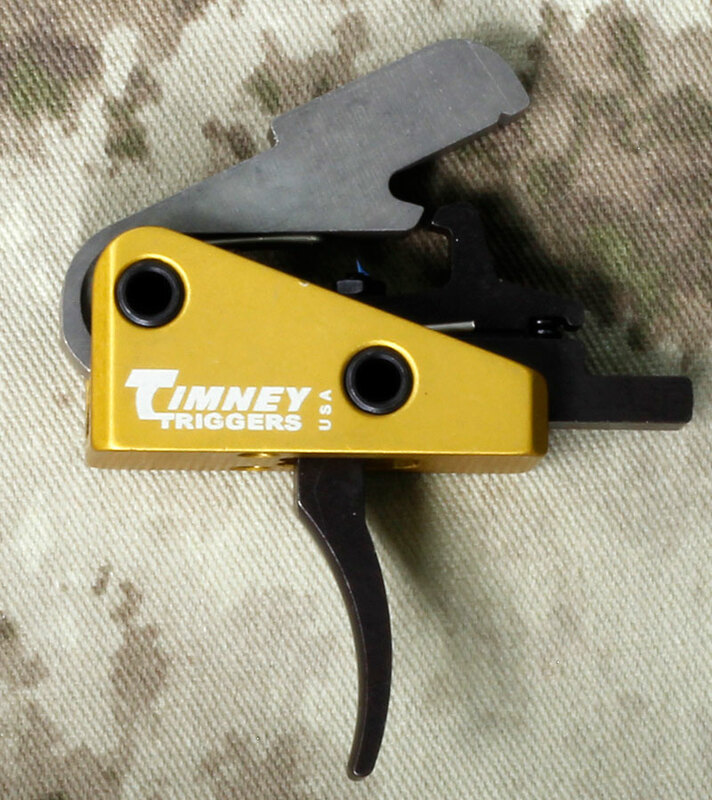 For this project I thought I would give the Timney a shot and see how it compares to my ATC Golds, and JARD TRIGGERS. I picked this for the simplest of the reasons. The first reason is I like the way it looks. 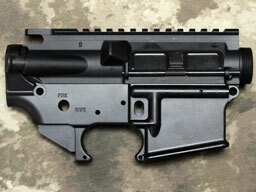 The second reason is that I have not seen another WILSON COMBAT TR-TRIM-7 AR-15 HANDGUARD installed on a weapon. NOTE: Upon installing I learned i needed to purchase an additional tool. This tool is a 1 3/16" crowfoot wrench for installing the barrel nut. 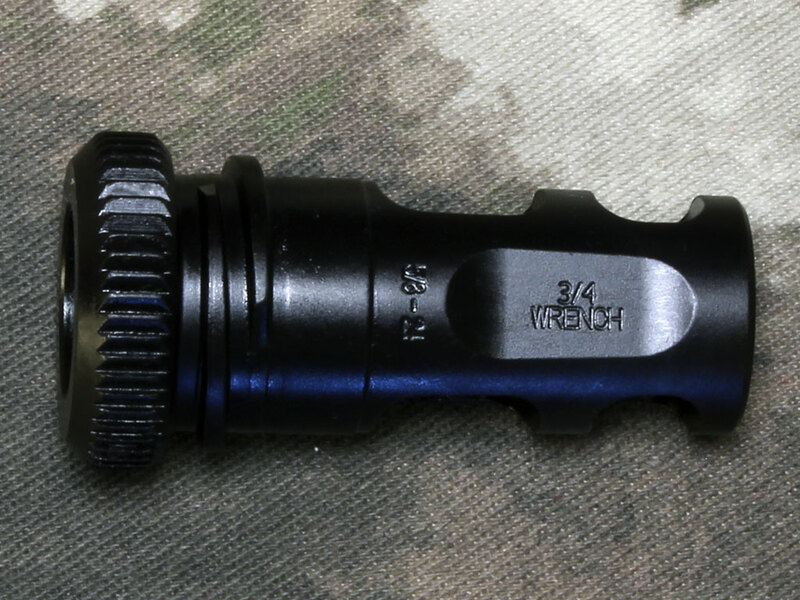 I regular open end wrench will work too providing it is not thicker than 3/8"
This stock is quite new to the market and is being private labeled by Safariland, Wilson and Colt. According to the folks at Wilson Combat the Rogers Super Stock has the strongest locking mechanism in it's class. 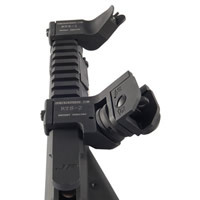 A really unique feature of this stock is that it fit's both Mil Spec and Commercial Extension Tubes. One size fits all. While not as refined looking as a Magpul CTR For $80 I feel it is an outstanding value especially if the specs of the locking mechanism are true. Of course I will never test that as the stock is pinned in it's fully extended position to comply with state laws. 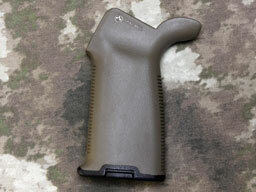 Essentially I have a MAGPUL MOE+ on hand already and it will work with the SAMSON FIELD SURVIVOR below. Quite simply I have been wanting to try a SAMSON FIELD SURVIVOR for some time and thought this a great opportunity to do so. 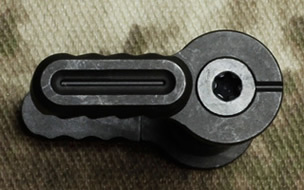 Quite simply the only charging handle I will use going forward. 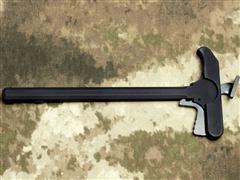 The MECHARMOR TACOPS-1 AMBIDEXTROUS CHARGING HANDLE is simply the best designed and charging handle available today. Visit MechArmor. This is another case where a piece of hardware will go on every single AR-15 build going forward. The BATTLE ARMS DEVELOPMENT BAD A.S.S AMBIDEXTROUS SAFETY is unequaled and should be standard equipment on all M4 and AR-15 based weapon platforms. I may end up incorporating the DUECK DEFENSE RTS in to this build. I won't say where I purchased the AAC 762-SDN-6 but I will say it's just not worth the trouble to buy it online. First off buying online adds about a month of additional wait time to the already lengthy process. Secondly if I ordered from my local dealer the suppressor would have included the 51T muzzle brake. Lastly there is a transfer fee from my Class III dealer because I did not buy the suppressor from him. Anyhow I chose the AAC 762-SDN-6 based on it's size and performance. IT was more expensive than most but should be worth it. Side note: The 762-SDN-6 can be used on 5.56 and 7.62 based weapons. 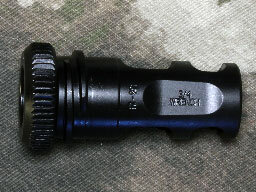 This is the MUZZLE BRAKE that's is needed to mount AAC 762-SDN-6 SUPPRESSOR to a rifle barrel. It is available in two versions 5.56 1/2-28 (part number 100183) or 7.62 with 5/8-24 threads (part number 100185). The 7.62 model can be uses for 7.62, 6.8 and 6.5 mm bullets. The .300 BLACKOUT is obviously 7.62. I ended up purchasing this directly from Advanced Armament Corporation. 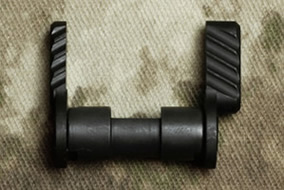 Note: Installing this on the Wilson Combat Barrel leave a pretty substantial gap between the shoulder where the threads meet the barrel and the muzzle device. I bought a YHM-3080-W Crush Washer to solve this and time the muzzle device. I also ordered an AAC precision shim kit to see if I can use that instead of the crush washer. 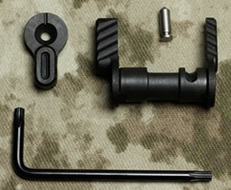 Armalite M15 Lower Parts Kit Less Trigger. No need to order a trigger if I don't need it. Armalite offers several lower parts kits that are superior to other offerings with competition triggers and such. 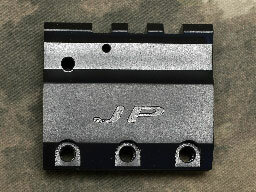 Lastly for those incline Brownells offers many variations of Lower Parts Kits.